​​Rachel is a hard working mother and wife who is very in tune with the needs of her community. She studied at a private school in Perth, then attended TAFE completing certificate qualifications and worked in an Engineering Corporation for several years. In her various roles she has become acquainted with the diverse mix of people which make up Perth and is understanding of the cultures which make up the nation. She has helped, and continues to help, directly and indirectly, many people in the African, Middle Eastern, Asian and European communities. Rachel, like many of those women she helps, is committed to family. She currently co-manages a hobbie farm and has a deep love of animals since she currently helps look after numerous animals on the property which include llamas and sheep. Rachel is a warm, friendly person who will advocate for policies which will assist people with health concerns and when elected will seek to assist people in our community with cost effective medical treatment with an aim to make all medical treatment for Australian citizens fully government funded. Rachel will push for medicines for those in need to be fully government funded for Australians in the spirit of equity and fairness. 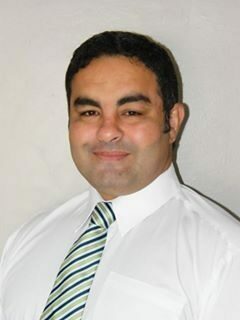 Gabriel is an aspiring and proud individual with an interest in politics, law and economics. He can draw on a vast experience and background. He has qualifications in education, management and law. He has a passion for helping people with their problems and researching unrelentingly till he finds the solution he is looking for. His vision embraces a changing world of trade and economics. He enjoys communicating with all people from all walks of life who he believes are the essence of who we are as Australians. He would like to take you on the pathway to success with him. James is a young man, 19 years old but ready to shine for his country. He is studying for a Bachelor of Commerce at Curtin University, named after John Curtin who once lead our great nation as its Prime Minister. James is a devoted son, brother to 4 other siblings and grandson. His grandfather is 85 years old and his grandmother 70 years old. He loves to visit them in Perth City where they live, help them with chores and learn about their lives fleeing Palestine and settling in their homeland of Western Australia. 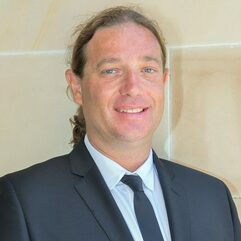 James was born in Broome, WA and has lived throughout the state in wonderful places like Mount Magnet, Carnarvon, Port Hedland, Manjimup and Watheroo. He loves to read about the law and politics and is proud of his country and accepting of all religious groups. James will advocate on behalf of all University students applying the great 1970s tradition of free University education for all Australian citizens. Watch this space for James and his energy and athleticism. His mission is to improve the lives of students and their families. Born and bred in Western Australia, Stephen Piper has seen the drastic change that has taken place across the state in the last 4 decades. As a Surveyor running his own business he has travelled to many regional areas and has been appalled at the way the major parties have neglected them for the sake of the corporate dollar party donors. The steady influx of migrants and the pressure it has caused on our schools, hospitals and public services has reached the point that they can no longer cope. Small business and the average tradesperson need to be rewarded not punished along with the cost of living that needs to be addressed, in particular the ever increasing cost of power. All these things Stephen intends on addressing as the APP's candidate for the Division of Pearce.